1. Uploading files on the SPIFFS of the ESP8266 to use those file more efficiently in our arduino code. Up until now, we’ve always included the HTML for our web pages as string literals in our sketch. This makes our code very hard to read, and you’ll run out of memory rather quickly. 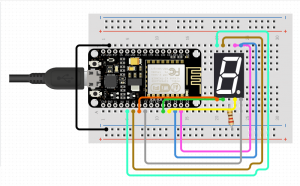 SPIFFS a light-weight file system for microcontrollers with an SPI flash chip. 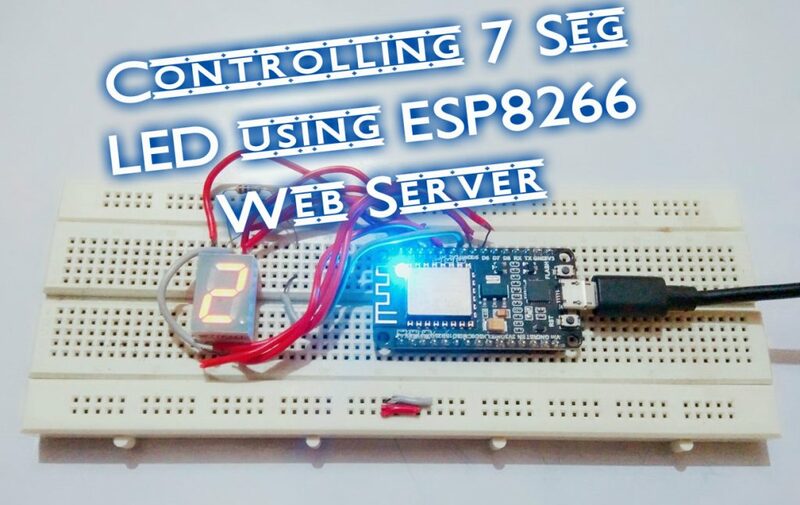 The on-board flash chip of the ESP8266 has plenty of space for your webpages, especially if you have the 1MB, 2MB or 4MB version. I will discuss the use of local storage in my project in the working section. As discussed earlier, we have two html files. One of which is the root html page called when ESP8266 server received “/” i.e If the URI ‘/’ is requested, the server should reply with a HTTP status code of 200 (Ok) and then send a response with the “index.html” file. The second html file will be sent when the client request from the root page by submitting an input on the form. As soon as, the server gets the input POSTED from the form, it compare it with fixed string value and send the second html page in response. 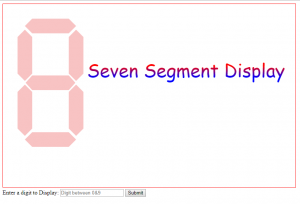 Here sevenSeg() is also called with an argument “0” so that it can be used to display “0” by switching different segments ON and OFF. Here, I made the name of fuction self explanatory i.e onA() will turn on the A segment of 7 seg display on breadboard, similarly offA will switch it off. 1. The link in the action attribute of root html file should be “http://(IP on Serial monitor or IP alloted to your ESP)/submit”. 2. Use latest version of browser that supports html5 and new tags and functionality. 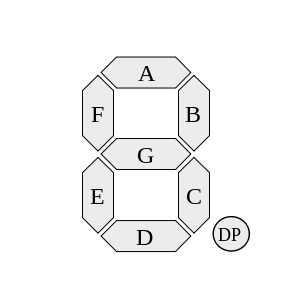 Reminds me of my first project, I multiplexed four 7 segment displays with a 6800 complete with wire-wrapped 8 bit bus for RAM and ROM, and also a parallel I/O IC….. 🙂 soooo much simpler these days! Hi kumar nice work..keep it up. 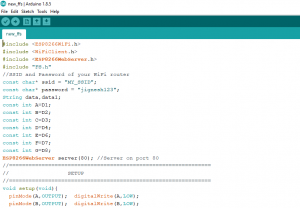 ever thought about How to access your node mcu from anywhere in using any web browser..? Can u help me to add such DDNS code to your sketch …?